Here is a nice coupon available via Ziploc brand Canada hidden websaver.ca portal on facebook. 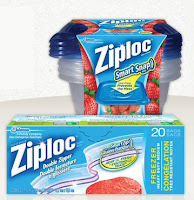 Head on over to Ziploc Brand Canada on facebook and like them so that you can request their hidden websaver.ca postal mail coupon that is good for $1.00 off any Ziploc brand bag or container! This will make for a great deal when paired with a sale.